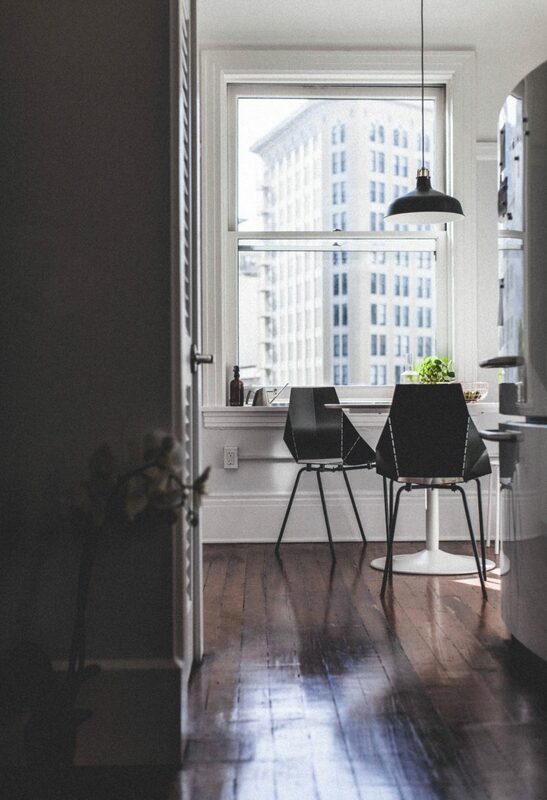 Dark wood floors are trending, and there’s a good reason for it. Their bold color brings a richness to living rooms, bedrooms, and kitchens. While beautiful, dark wood floors can be tricky to style. Here are the best ways to decorate a room with dark wood floors, ranging from high contrast and modern to colorful and eclectic. 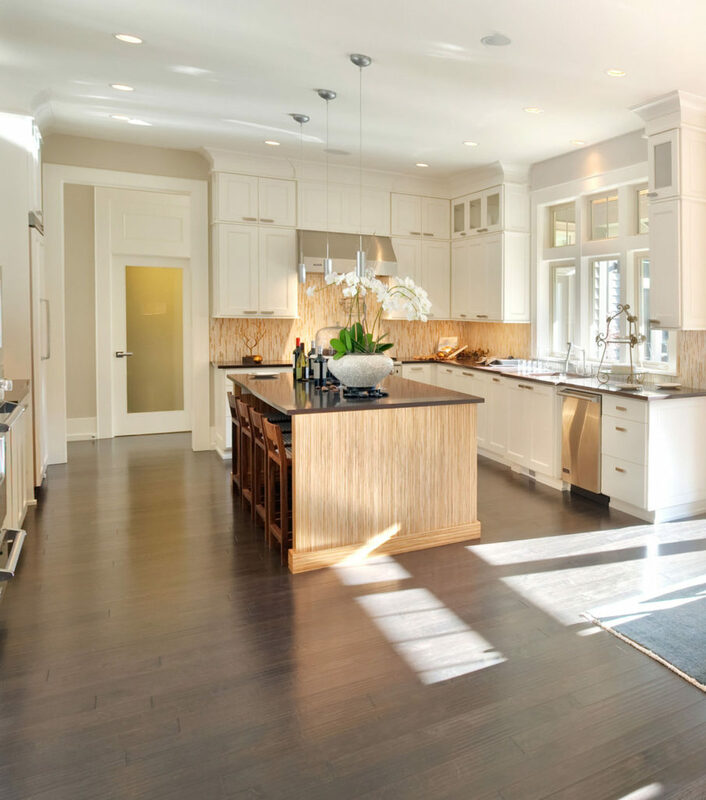 In a kitchen, pair dark wood floors with contrasting bright white cabinets. 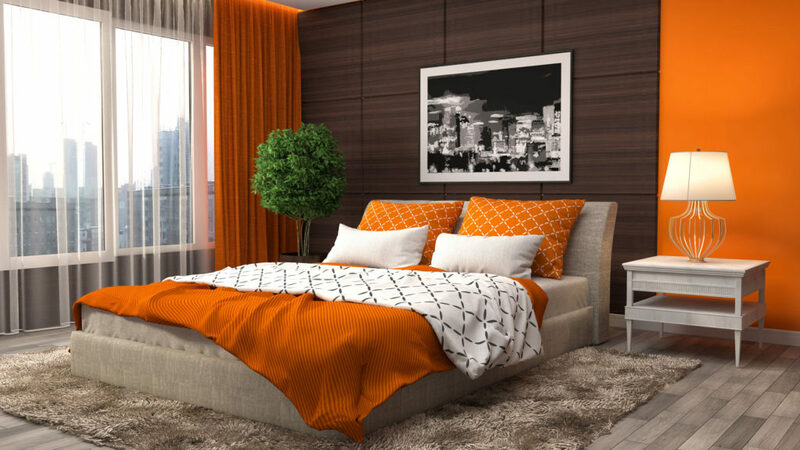 Add in elements of bright colors, such as green, yellow, or orange to make the space feel welcoming and alive. Plants and herbs scattered throughout will help break the contrast of the dark floors and white cabinetry. To achieve a harmonious look, choose wood furniture that matches the temperature of the floors but is a few shades lighter. Grayish or near-black wood floors will work well with pale and weathered woods, while warmer browns and dark reds will look great with warm lighter toned woods, such as cherry or maple. Light wood furniture, white walls, and white accents help provide contrast without appearing stark. For a high impact room, pair dark wood floors with a rich jewel toned wall color, such as teal, burnt orange, or mustard. Stick to the lighter side of the color spectrum to give the room some definition. Mimic the wall color in a flat-weave persian kilim rug, and add other patterned textiles and architectural details to create a cozy and eclectic feel. Create a neutral look by matching the furniture legs to the color of the floor. Because it sits right on top of the floor, furniture has the ability to directly impact how a floor looks. Matching legs will bring a level of class and elegance to the room. Opt for a lighter color on the walls to keep the space from feeling heavy. Bring down the high-contrast look of dark wood floors by pairing them with neutral tones and varying textures. Muddied browns, grays, and taupes work well when combined with hides, leather, suede, or velvet. The versatile textures add depth to the neutral color palette. Stick with lighter gray or taupe walls for a natural look. 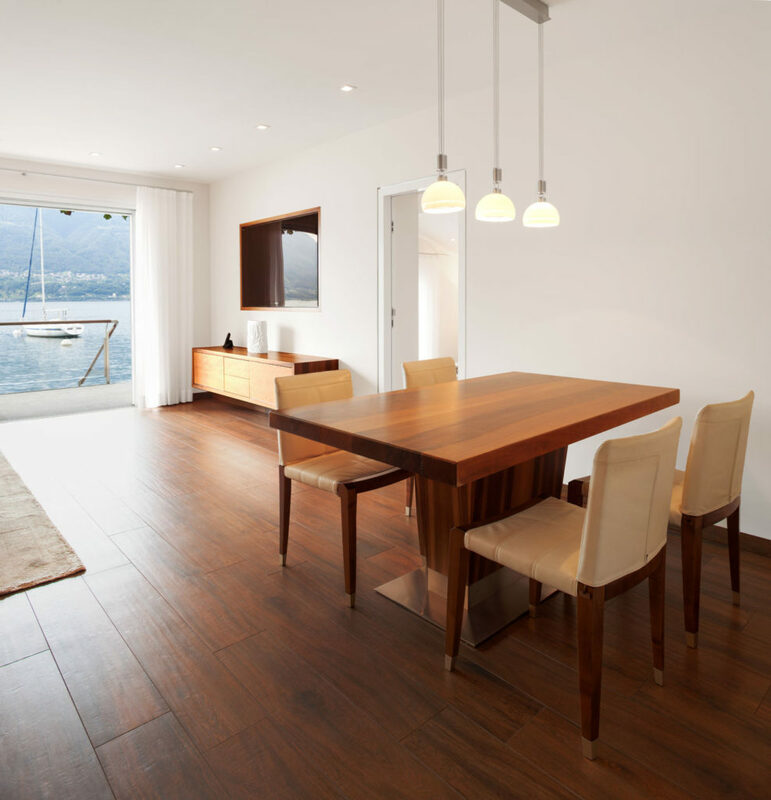 Ready to Install Dark Wood Floors in Your Home? Request a quote today to find the right dark wood floor for you.